Greetings! Remember a long time ago when I mentioned that I'd get to do an installation for my hats? Well, it's happening as part of a bigger event, Feast on Fashion. If you are in the Kansas City area, come out to First Fridays December 7th, and stop by the new Farm to Market Bread Company bakery anytime 6-9:00PM. 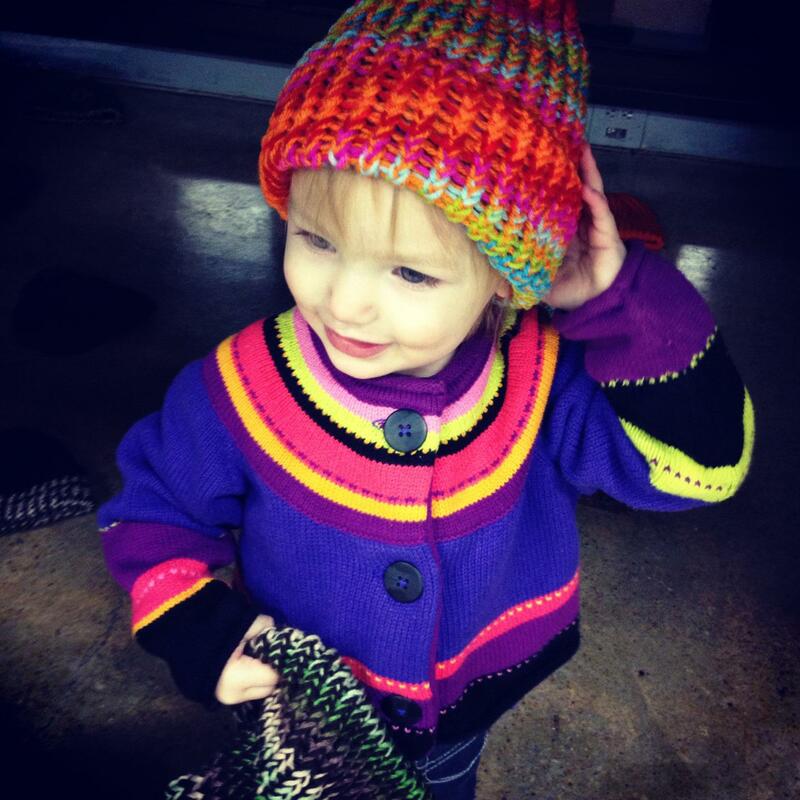 For just a $5 donation, you walk out with the loom-made stocking cap of your dreams, and those funds go directly to reStart, Inc.
Any hats that don't get adopted during the event will be donated to reStart as well. Event details can be found on Facebook here . Thanks, Kat, for the beautiful photo. Isabel looked great in EVERY hat she dragged around and tried on. And for reading this blog, I have a special offer--If you ALREADY have one of my stocking caps, wear it to the event (or take a picture and send it to me, classymcgraceful (at) gmail (dot) com), and I will make a $5 donation on your behalf. Love is always in fashion.